Thanks to our host sponsor Visit Portland and many local vendors and leaders, we have a fantastic line up of tours available to WITS attendees before and after the official summit weekend. Spots are sure to fill up quickly, so grab your ticket to WITS and register for tours today! Click here to view all tours in a calendar format on our schedule. Tours are only open to attendees of the 2019 Women in Travel Summit North America in Portland, Maine. Registrants will be cross-checked. Attendees may not register for one tour multiple times, or different tours that occur at overlapping times. Any duplicate registrations or registrations for overlapping tours will be cancelled without warning. If you find that you can no longer participate in a tour you registered for, you must cancel your registration at least 24 hours before the tour start time. Cancel your registration by replying to your confirmation email. If you do not appear for a tour that you were registered for, you will be automatically removed from any future tours you were registered for. All tour registrations are first come first served. All FAM trip registrations are by application only. Unless otherwise noted, all activities and meals are provided free of charge, including ground transportation. It is the participant’s responsibility to book flights accordingly to be ready to start all tours and FAM trips with the group. Transportation to Portland, Maine is not included. Participants should be able to walk, taste, relax, and smile (especially when sharing your experience). Participants should be in good health and advise organizers of any disabilities, medical conditions, food allergies, or physical limitations. Registration closes on April 19th. Tours with too few registrants by April 19th may be cancelled. Tours are open to anyone who has a ticket to WITS North America and are first come first served. Unless otherwise noted, all tours leave from the lobby of the Holiday Inn Portland–By The Bay. NOTE: Please add each tour to your cart AND CHECK OUT individually (click the cart icon on the top right of your screen). DO NOT change the quantity to more than 1 or add more than one tour to your cart at a time. You will not need to input payment information. Tour of “The Neck” area of Portland, Maine. Nestled among the beautiful historical buildings of Portland's Old Port, you'll find an authentic taste of New England at the Cabot Farmers' Annex. Stop by to enjoy free samples of some of Cabot's award-winning cheeses! WITS attendees also get 10% off any purchase when you show your WITS badge. This tasting is on your own at any time the Farmers’ Annex is open and does not meet or travel as a group, although you are of course welcome to find other WITS attendees to join you. Transportation is not provided. •Tag @cabotcheese, #WITS19, and #VisitPortlandME. Exertion Level: Leisurely (RPE 6-8) Easy walking at your own pace. Mail boat cruise on Casco Bay. Tour the historic Custom House! One of the best ways to explore #VisitPortlandME is on two wheels. Exclusive for WITS attendees, bicycles will be available to borrow for free throughout the weekend from Thursday, May 2 at noon to Monday, May 6 at noon. Pick up your bike at the Holiday Inn Portland–By The Bay. • Two to three social media posts or one blog post across all platforms. • Post a photo from your ride. Exertion Level: Intermediate (RPE 9-11) At your own pace. May encounter hills. Tour Portland on a fire truck. Portland’s First Friday Art Walk is a free self-guided tour of art galleries, art studios, museums, and alternative art venues on the first Friday of every month. This tour is DIY/self-guided and does not meet together or travel as a group, although you are of course welcome to find other WITS attendees to join you. Click here to view the art walk map. •Two to three social media posts or one blog post across all platforms. Guided tour of art galleries, art studios, museums, and alternative art venues. Fresnel theater showcases improv comedy, scripted shows, and variety shows. Cruise around Portland Harbor. Cash bar will be available! Exciting walking tour and historical adventure through the Old Port. A 90-minute workout for all fitness levels stopping by various landmarks. Catch some lobster on the waters of Casco Bay. Brewery, distillery, and winery tours in Portland, Maine. Experience Maine made foods and learn from those who crafted them. Guided tour to the city's waterfront highlighting Portland's history, maritime heritage, and authentic character. Partners + Spouses: "PITS" Party! Pity Party? No, PITS Party! Don't stay in your hotel room by yourself all weekend. Meet your new pals! The PITS (Partners in Travel Summit) planning team is hosting a special happy hour at Little Tap House (just around the corner from our host hotel) for partners and spouses of WITS attendees to meet one another, build connections, and find a buddy to explore the weekend with. This is the only event on our schedule that you do not need a WITS ticket to attend. Please register to join us! Trolley tour around Portland’s peninsula experiencing hidden gems and historic landmarks. 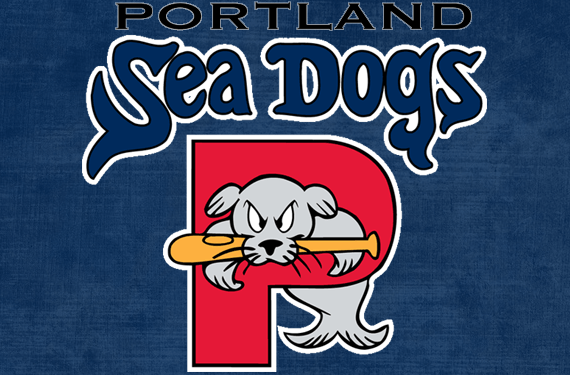 Portland’s minor league baseball team! Portland tour with a local Maine guide! Outdoor activities including team building and zip lining on Cow Island. Outdoor activities including kayaking and zip lining. Followed by a brewery, distillery, and winery tour in Portland, Maine. Tour Portland, Maine by bicycle and visit lighthouses along the way. 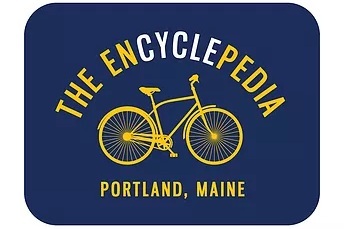 Cycle around Peaks Island and learn about Battery Steele and the Fifth Maine Museum. Discover the rich history and stunning architecture of the Portland peninsula. Complete the application for each FAM trip you would like to apply for. Applications close March 1, 2019 at 5pm ET. Application does not guarantee a spot on the FAM trip. Participants will be contacted by Visit Portland if they have been accepted by mid-March. Space for each FAM trip is limited. From Portland, you’ll be whisked to Damariscotta, Maine, a beautiful coastal village on the edge of one of Maine’s most productive oyster rivers. You’ll be joined by Maine adventure photographer Cait Bourgault who will be documenting the entire adventure. You’ll tour Glidden Point oyster farm together, have a great lunch in a classic downtown pub, then spend the afternoon at Pemaquid Point in Bristol, an iconic lighthouse on the Maine Coast. You can then split up for a walk at Dodge Point Preserve or downtown shopping. A cozy cottage on the coast will be your lodging for the night. In the morning, a classic Maine breakfast will be followed by a stop in Wiscasset on the way back to Portland, a quaint town full of art, antiques, and great shops, as well as a very famous lobster roll. By the time you get to Portland, you’ll be best friends with other WITS attendees. Two to three social media posts or one blog post across all platforms. Post a photo from your trip. Exertion Level: Intermediate (RPE 9-11) Walking with tour and solo. Travel to Portland from Boston by train, stopping over for one relaxing day and night in the Maine Beaches region where you’ll enjoy lunch, shopping, and dinner, before an overnight at a quaint boutique hotel. The next morning, enjoy a spa morning before hopping the train and arriving in Portland before the Wanderful Happy Hour on Thursday evening. Enjoy the full WITS weekend in Portland. On Monday morning, hop back on the northbound train to the village of Brunswick in the MidCoast region. Here, you’ll enjoy a private art museum tour, an afternoon guided local wine tasting, and retire to a cozy Inn for one last night in Maine before you depart—taking the train back to Portland for the airport on Tuesday. Note: Tour begins in Boston and ends in Portland. Post a photo from your tour. Exertion: Leisurely (RPE 6-8) Relaxing overnight with easy walking. Drive over the Cribstone Bridge. Wear boots for your springtime walk at Cliff Trail, where the view opens up to teal green views of Casco Bay, giving you a unique perspective of the body of water it shares with Portland. Eat lunch with a local artist at the most old-school lobster bar around. Explore the Bowdoin Museum of Art or the downtown village of Brunswick, and end the day with a cocktail in a restored church in their downtown. Exertion Level: Moderate (RPE 12-14) Walking at your own pace. You’ll leave the conference and head to Rockland, Maine—head up the Coast from Portland, where you’ll enjoy a relaxing vintage-shop, fine-dining, and a contemporary art retreat. Known as the arts capital of Maine, you’ll spend time exploring the downtown and harbor. An optional milelong walk in the middle of the Harbor leads you to an iconic lighthouse at sunset at Rockland Breakwater Light. On this trip, we’ll give you a punch list. This trip is largely self-guided for the more DIY traveler. Exertion: Leisurely (RPE 6-8) Easy walking. Writers will be oriented to all the Maine Beaches has to offer for families visiting the region. From exploring the shore, to organized family activities, to touring our amusement parks and mini golf courses, participants will leave with a full slate of ideas for a future FAM tour with their families in tow! Given that many of our attractions will still be readying for the season, and that this tour won’t include the kiddos, we will be adding in some grown up fun including visiting one or two of our local museums, a brew tour, and a bit of fine dining! Note: Automobile required. This tour is available for locals who are driving or those renting a car. Exertion Level: Leisurely (RPE 6-8) Easy walking. Climbing and hiking and flying…oh my! The Maine Beaches are filled with natural wonders that are ready for exploration. This post-WITS tour will include a hike of Mt. Agamenticus in Cape Neddick (hiking trails geared to all experience levels), where views to the Mt. Washington range in NH can be seen on a clear day. The trip will also include some zip lining, a scenic flight up the coast, and an offshore excursion (weather permitting). Exertion Level: Moderate (RPE 12-14) Hike may be steep and rocky. Maine’s iconic coastline with communities perched at the edge of long peninsulas make Maine’s MidCoast & Islands and the DownEast Acadia regions perfect for meandering off the main roads in search of hidden surprises. Travelers who want to explore paths less traveled or who seek a retreat from busy lives will find plenty of quiet beauty and friendly locals worth writing home about. 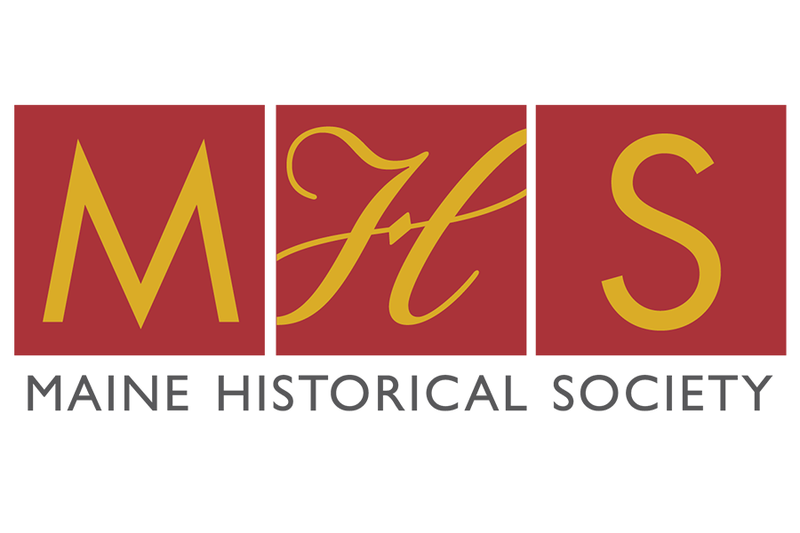 This tour showcases over 200 years of maritime heritage, exploring the iconic landscapes and communities of Maine’s coast, both past and present. Exertion Level: Intermediate (RPE 9-11) Guided walking tours. Mostly relaxed retreat. Explore Giant's Stairs in Harpswell before spending the afternoon with the master gardeners of Coastal Maine Botanical Gardens on the Boothbay peninsula. Explore the beautiful peninsula of Bristol and enjoy Pemaquid Point Lighthouse with a guide. Blueberry pancakes will be served at a classic Maine coastal diner. Meet the owner of a beautiful barn boutique called The Good Supply. That evening, enjoy a cooking class at Salt Water Farm cooking school. Sleep over at a classic Maine B&B in Camden. Explore historic Fort Knox on the Penobscot River in Prospect, built entirely of granite and an intact example of a mid-19th century coastal fortification (guided tour). Enjoy panoramic views of Penobscot Bay from the tallest public bridge observatory in the world (420 feet in height!) and the first one in the US. Travel to Castine, founded in 1613 as a French trading colony. Rich in heritage and surrounded by the sea, Castine is abundant with treasures to discover. Overnight at the Pentagoet Inn, Castine’s oldest, original, “summer hotel”. Visit the Goodlife Center in Cape Rosier, home of Helen and Scott Nearing, homesteaders and advocates for social and economic justice whose life philosophy became a centerpiece of America’s “Back to the Land” and “Simple Living” movements. Explore the grounds and discover the unexpected at Nellieville in Deer Isle, a quirky, magical mini village nestled within a funky folk art sculpture garden (guided tour). Photographer Jeff Dworsky will share intimate portraits of the fishing families of Stonington. Overnight at the Pilgrim’s Inn, Deer Isle, a lovingly restored post and beam inn built in 1793. Visit the Wooden Boat School in Brooklyn, now in its 39th year of preserving the spirit of tradition and craftsmanship in boat building. Wander back home through Blue Hill where you can stock up on treats at Black Dinah’s Chocolatiers and the many galleries featuring local artists.